How often does an otherwise helpful recipe tell you to 'cook until done' with no further instruction? This is the book for anyone who finds it hard to judge when a roast chicken is perfectly cooked or whether steak is well done or rare without cutting into it. As well as clearly showing the perfect results, this is the first book ever to illustrate how NOT to cook! Where relevant, an overcooked and undercooked example is shown alongside the perfectly cooked food. For over 150 ingredients and techniques the crystal clear photographs and precise, informative captions show how to prepare perfect steaks, fish, vegetables, and sauces and other culinary challenges. Along the way possible problems are highlighted and addressed such as why white sauce can taste floury or why mashed potatoes turn to wallpaper paste. 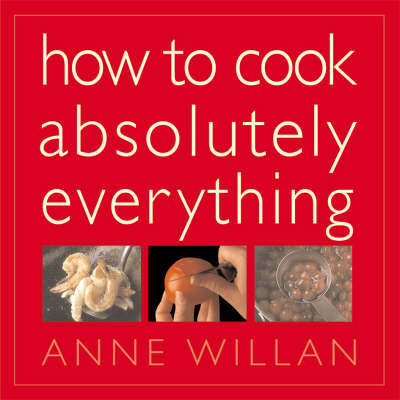 How To Cook Absolutely Everything will give readers the confidence to tackle any ingredient and get it right every time.